Amazon.com description: Product Description: An engaging and research-based text, The Psychology of the Internet provides a balanced overview of the psychological aspects of cyberspace. It explores crucial questions about the Internet's effects on human behavior, such as why we often act in uncharacteristic ways in online environments and how social media influence the impressions we form and our personal relationships. 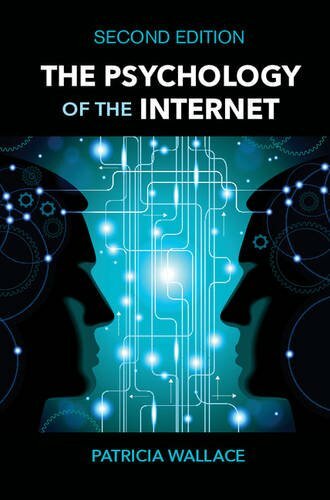 The book's balanced approach to the subject encourages readers to think critically about the psychology of the Internet, and how and why their own online behavior unfolds. Drawing on classic and contemporary research, this second edition examines new trends in internet technology, online dating, online aggression, group dynamics, child development, prosocial behavior, online gaming, gender and sexuality, privacy and surveillance, the net's addictive properties, and strategies for shaping the net's future. About: An engaging and research-based text, The Psychology of the Internet provides a balanced overview of the psychological aspects of cyberspace.